The Principals collectively brings with them more than a decade of venture capital knowledge and experience, stemming from years of being pioneers in their respective fields. We’ve been advising and developing technology-based businesses for start-ups and midsized ventures since 1996. We’re placed in a unique position because we have diversity in our team, each rich in venture investment experience and hailing from various industry backgrounds. Our years of investing in technology have given us insurmountable guidance and expertise in many sectors, which provides us with just the right balance and significant value when we collaborate with you. 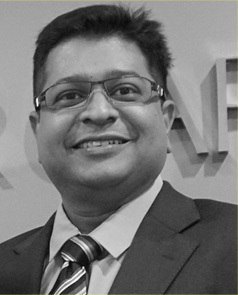 Nizar has been a Managing Director and partner with FirstFloor Capital since 2007. His solid background in accounting and multitude of experiences in venture capital financing has made him lead counsel in most of FirstFloor Capital’s projects. He facilitates investee companies in business development to catalyse growth. Nizar’s experiences cover not only execution of business planning, fund raising, legal and capital structuring and corporate finance, but also investment recovery, valuations, mergers and acquisition advisory, listing and venture capital financing. He’s the guy that facilitates investee companies in business development and networking to catalyse growth and more importantly, to achieve successful exits for funds. With over 10 years amassed from his tenure with Arab-Malaysian Merchant Band (AMMB) and Pricewaterhouse Coopers (PwC), Nizar has experience in both Privatization and Project advisory services and also Audit and Business Advisory services. His understanding cuts across many industry sectors such as oil palm, steel, property, travel, shipping, stock broking, banking and technology. He currently sits on the Investment Committee of Continuum Capital and Continuum Capital II funds, and in several investment and entrepreneurial development committees. He also represents FirstFloor Capital as venture capital manager with the Securities Commission of Malaysia. 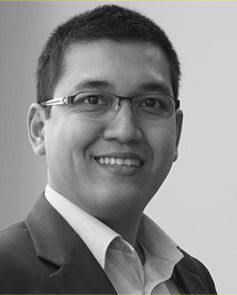 Fahmi focuses on financial forecasting, company valuation and corporate structuring. As part of FirstFloor Capital’s founding team, Fahmi has been overseeing all company operations, including business planning and fund raising, since he came on board back in 2000. Alongside operations, he extends his knowledge and flexes his skills at all levels of investment management work. His experience stretches across numerous industries such as trading and services, manufacturing, stockbroking, banking and business technology and has worked with the likes of Deloitte Kassim Chan and Arab-Malaysian Merchant Bank. But his biggest contribution to date is developing FirstFloor Capital’s proprietary investment decision tool, the Company Maturity Matrix. Currently, he sits on the Investment Committee of Continuum Capital and Continuum Capital II funds. He formerly served on the board of Holista Biotech Group of Companies and QH Sdn Bhd which is one of substantial equity holders of Qualitas Medical Group Limited. Fahmi graduated with a bachelor’s degree in Commerce (Accounting and Finance) from University of Tasmania, Australia. Zauqi has years of experience in the technology and marketing industry which provides him with an overall insight of what works and what doesn’t. Coming on board in 2000, Zauqi plays an integral part in FirstFloor Capital’s investment plans and its growth investment roadmaps. He’s also the brains who executes and manages investee companies’ milestones and its marketing and technology approaches. Identification of key growth trends and investment opportunities in industry sectors all fall within his jurisdiction as well. Having been an entrepreneur himself, Zauqi has polished management expertise. And with a background encompassing design, multimedia and advertising that spans over 7 years, his strengths lie in his understanding in the technology, brand and marketing industry. He currently serves on the board of directors of Marseille Neworks Inc. and QEOS Sdn. Bhd. 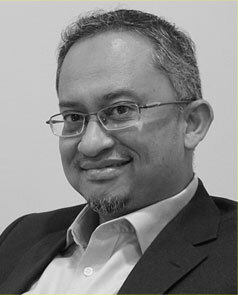 Before joining FirstFloor Capital, he was involved in the design and implementation of multiple government and international projects (Philips Australia CD-i Research & Development, Ministry of Defence, Malaysian Smart School Management System, Young Asia Television and Sapura Advanced Systems). Zauqi holds Diplomas’ in Computer Science, and Data Processing Management from Workers Institute of Technology, and Institute of Management Information System (IMIS) respectively.